The Elko Pepsi Power Stocks are proving why they are fan favorites through close racing every week. The Pepsi Power Stock drivers from around Minnesota battle it out each week for that top spot and a trip to victory lane. Fans have watched 17 races and witnessed eight different drivers go to victory lane. The fantastic side by side racing is cause for excitement when the Pepsi Power Stock take to the speedway on Saturday nights. A total of nine combined wins from two drivers has created a point’s battle that is as close as it gets. 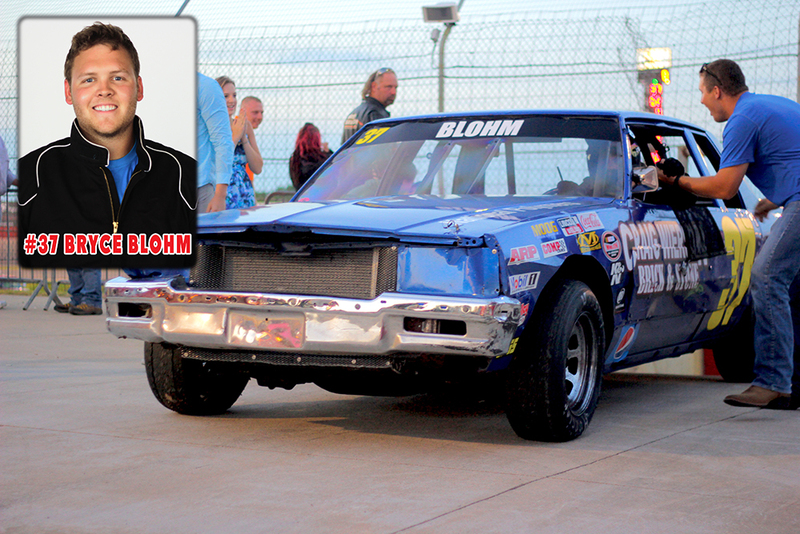 Rookie, Bryce Blohm, and Brandon Peterson are tied as we race into KIDS Night on August 20. Both drivers have 786 points as they battle for the Pepsi Power Stock Championship and bragging rights for a year. These two drivers have shown their passion for the sport by racing clean and hard for theirs fans each and every race. Bryce Blohm started his rookie season off strong by capturing a win in his first career race on June 4 in the Pepsi Power Stocks. In an interview with Jason Searcy, Bryce credits his father for his success and fast cars. 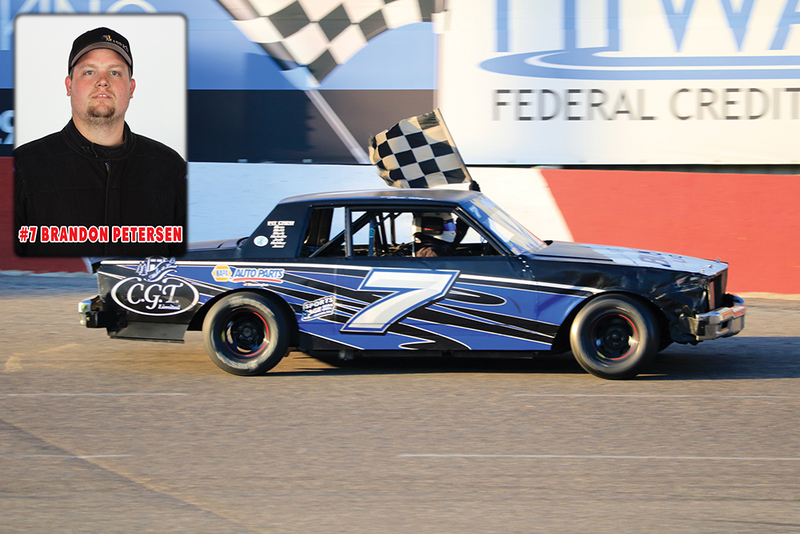 Bryce’s most recent win at Elko Speedway came after he held off fan favorite Taylor Goldman on July 30. In a car that took them seven months to build, he has five wins and ten top 5 finishes. Brandon Peterson is coming off of a second place finish on August 13, but his four wins and 11 top 5 finishes have put him in this point’s battle. The consistency displayed by him each week is paying off as we enter the final six weeks of the 2016 season and the Pepsi Power Stocks Championship race. Brandon credits his success to his ability to race clean and come to the track prepared. During an interview with Jason Searcy he talked about his success in the first half of the season and his hopefulness for another win. This great battle will start to heat up more as we head into the final weeks of the season, and it will likely come down to the Pepsi Power Stock championship race on September 24. Tom Doten is sitting in third with his abundance of top 5 finishes. Tom, looking for his first win of the season, is only 18 points away from taking the top spot. Taylor Goldman and Paul Hamilton round out the top 5 in the 2016 Pepsi Power Stocks points race. The stiff competition in the Pepsi Power Stocks makes them fun to watch knowing that anyone could win on any given date. No win is ever guaranteed for these drivers, but only time will tell if we will see a ninth winner in the Pepsi Power Stock division. The next event planned for Elko Speedway is KIDS Night on August 20 featuring NASCAR weekly racing from all divisions. Remember kids 12 and under are FREE! Find out more information for this event and others online at www.elkospeedway.com or on Facebook, Twitter, and Instagram. Stay up to date on current happenings by downloading the new ELKO! mobile app on your Apple or Android devices. Elko Speedway and Drive-In is located just 30 minutes south of downtown Minneapolis in Elko New Market, Minnesota. For 51 years we have been the home for NASCAR racing in Minnesota and fast paced entertainment of all forms. Featuring NASCAR racing, Eve of Destruction, and Drive-In movies we are a family entertainment destination. For ticketing information visit www.elkospeedway.com/tickets.